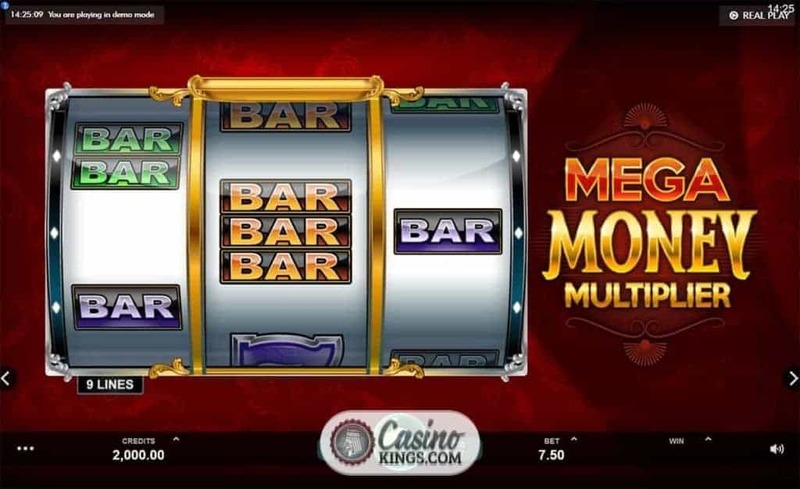 Jump on board Microgaming’s multiplying time traveling Mega Money Multiplier Slot machine! The Isle of Man digs into the vaults of slotsville to unearth this retro gem, a three reel, nine payline slot that could be happily at home in the 1970s. 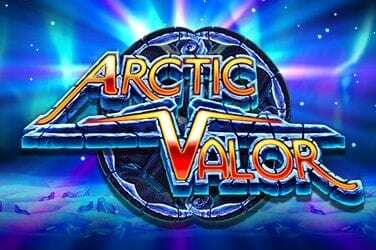 But, as is true Microgaming style, we can also look forward to a few surprises that make this a slot adventure that is much more than the sum of its parts. 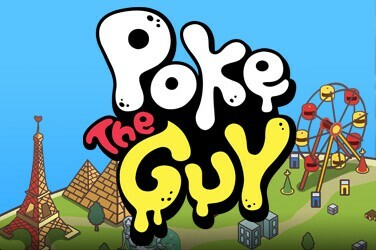 With Multiplying symbols accompanying stalwart classics, we can expect decent wins alongside paired back game-play. It’s a winning combination for slots fans as well as for the studio. If someone were to ask you to nominate classic slots symbols, what would you suggest? BARs? 7s? You would be spot on. Both of these symbols appear in various colours and stacks, with Red 7 sitting on the top of the payout pile, closely followed by Purple BAR7, and any three 7s as the rest of our high-payers. Triple BARs, Double BARs and Single BARs make up our low-payers, with any combination of those acting well as our lowest-paying combination. 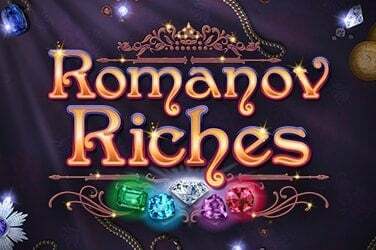 While it might be easy to get bogged down with the maths of playing 15 coins across 9 paylines, as with most modern slots Microgaming uses a dynamic pay table so we can see our payouts increase as we adjust our bet level. 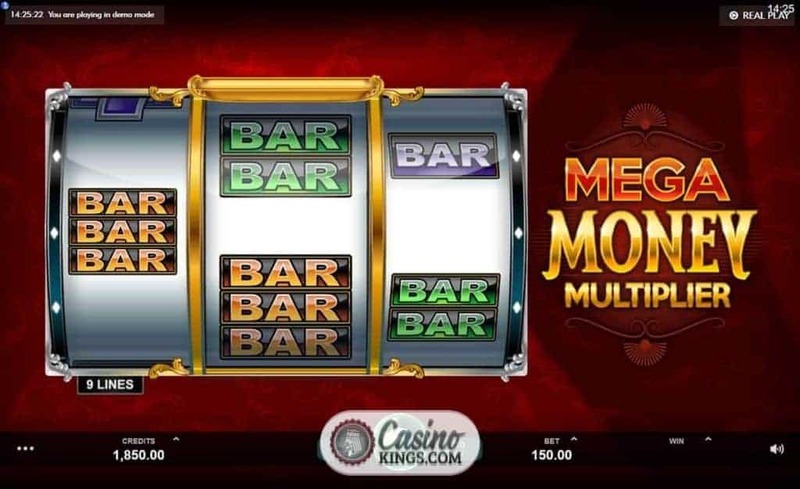 With a 100,000 top jackpot, Microgaming’s Mega Money Multiplier slot proves that you don’t have to be all-singing, all-dancing to do the utmost for player and for win potential. If the words “Mega”, “Money” and “Multiplier” appear in a game’s title, you’d better hope that all three of these big ticket promises show up in the game. With interest. Firstly, we can tick off the “Multiplier” tag. When we land Wild Multiplier symbols, they substitute for all other game symbols, multiplying them by the figures shown on the symbol. These multipliers range from x2, x3, x4 and x5. But landing more than one Wild Multiplier will see our wins multiplied by both values. That deals with both the “Mega”, which is how we will be feeling, and the “Money”, which is what we will be rewarded with. 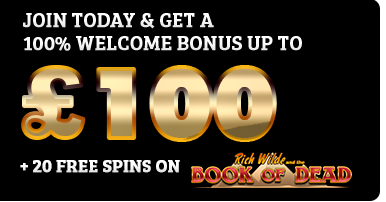 And should we land these Wild Multiplier symbols on the centre reel we trigger the Wild Multiplier Re spin Bonus feature. 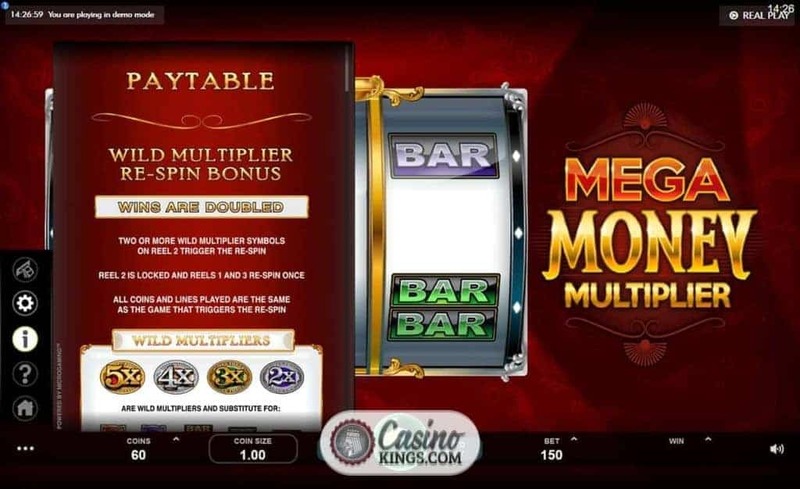 We earn the payouts relevant for that first win plus any winnings from a single re-spin with all Multipliers locked in. Mega indeed. 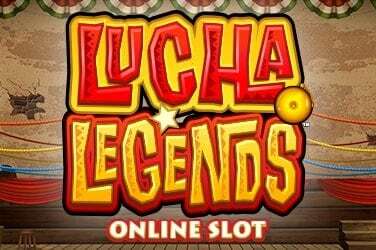 A 100,00 jackpot on offer from a nine payline online slot is a very tasty offering inddeed. 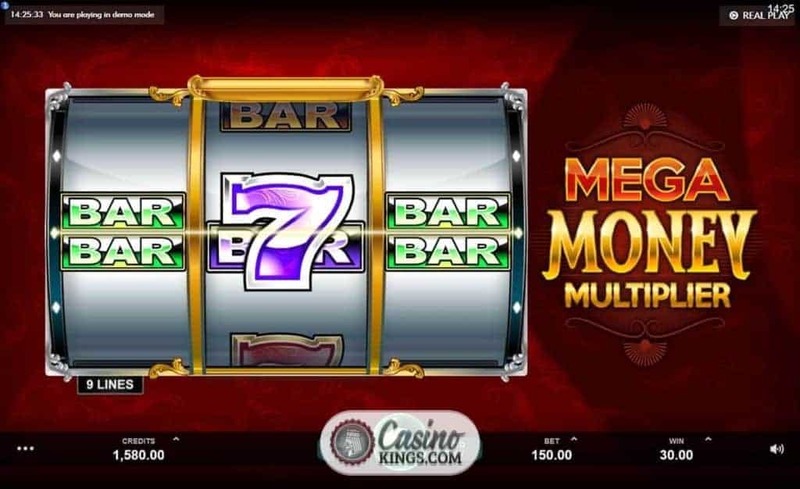 The game-play in Mega Money Multiplier is super simple, and who said that simplicity equates to boring? Whoever it was was wrong, certainly in this instance. 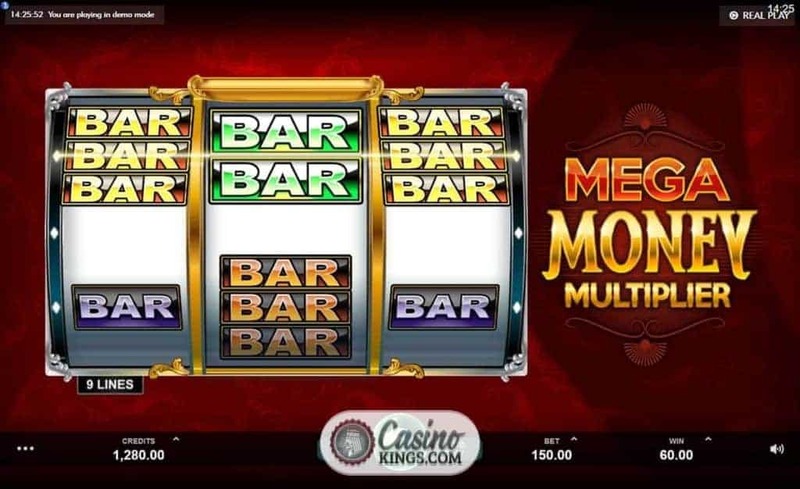 This is mega retro slots action with three reels and nine paylines. On this evidence, who needs video slots?